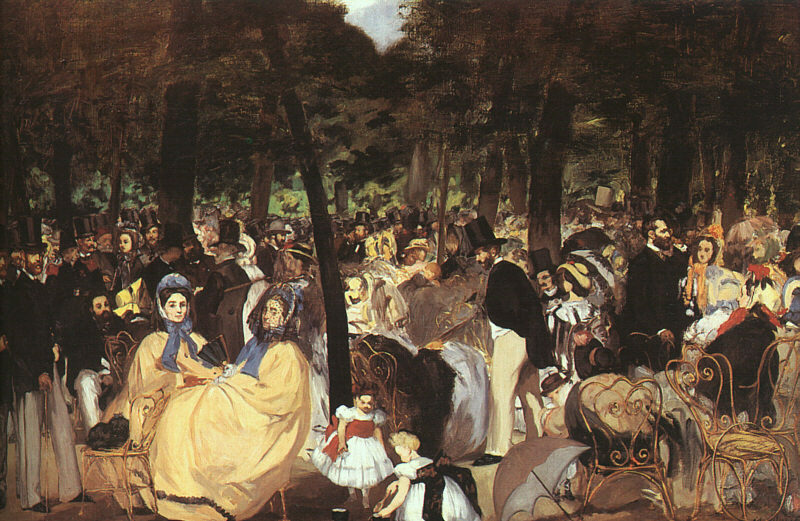 Music in the Tuileries Gardens 1862 MANET, Edouard (1832-1883) NG3260. Lane Bequest, 1917. Signed and dated. Oil on canvas 76.2 x 118.1 cm. 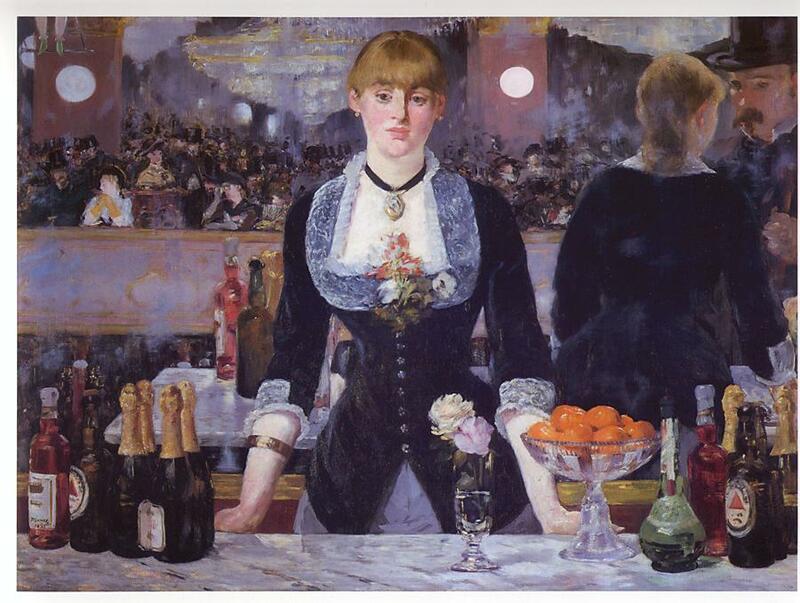 This painting of the Tuileries Gardens in Paris was Manet’s first major work depicting modern city life. The band is playing and a fashionable crowd has gathered to listen. 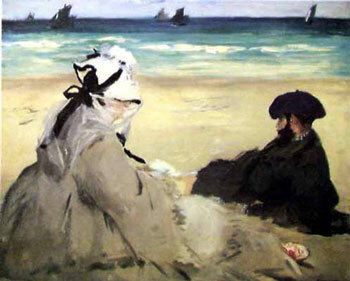 The picture includes portraits of Manet’s friends and family. 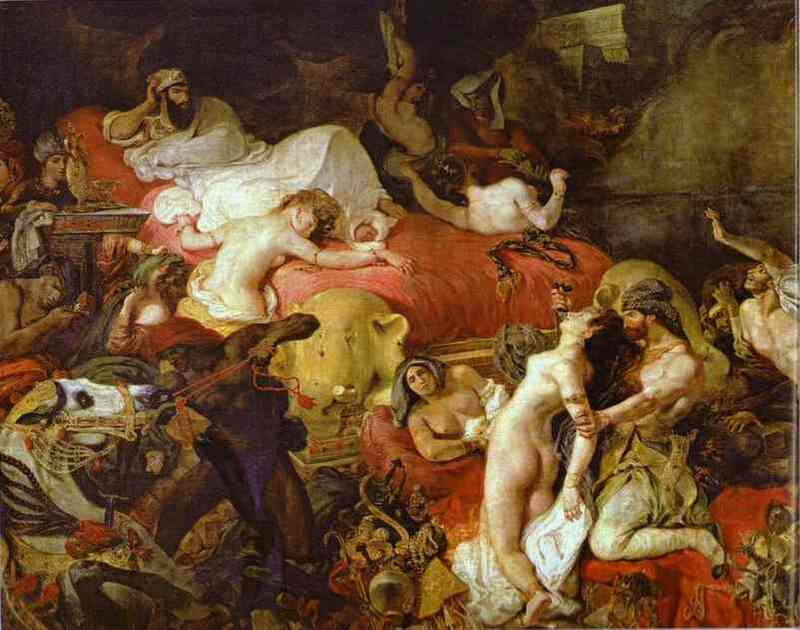 These include Manet himself; the poet Baudelaire (1821 – 1867); poet and novelist Theophile Gautier (1811 – 1872); flower-painter Ignace Fantin-Latour (1836 – 1904); composer Jacques Offenbach (1819 – 1880); and the artist’s brother Eug�ne (1833 – 1892). 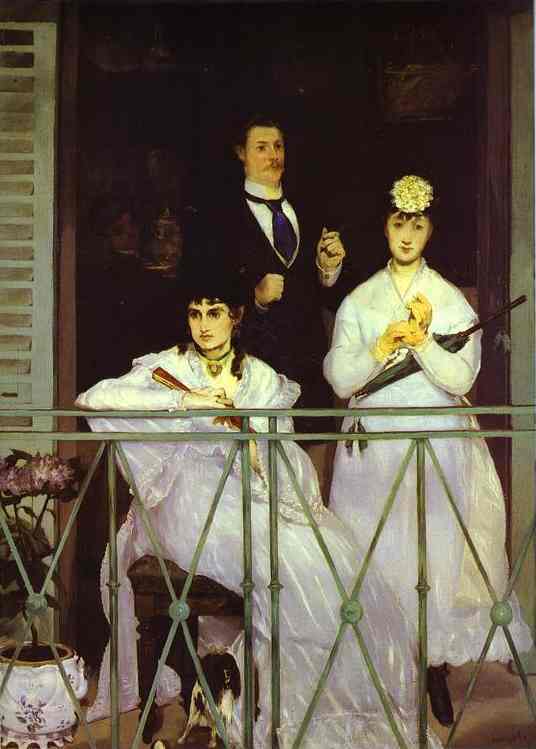 The artist himself appears at the extreme left, half obscured by the figure of Albert de Balleroy, a fellow painter with whom Manet shared a studio. 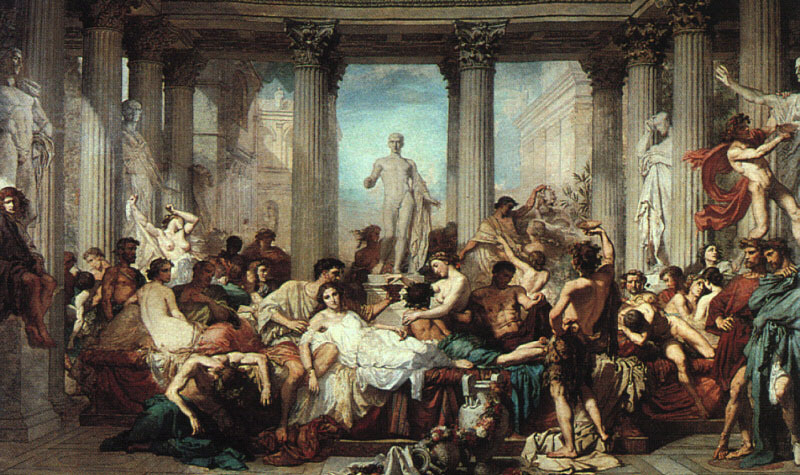 Among the people depicted in the image, historians have identified several prominent cultural figures. 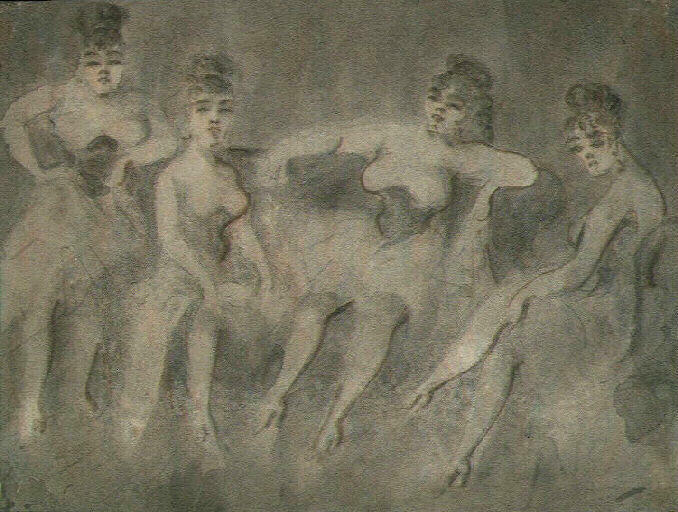 These include the poet and critic Charles Baudelaire, the composer Jacques Offenbach, the painter Henri Fantin-Latour, and other prominent cultural personages and socialites of the Second Empire such as Theophile Gautier, Champfleury, Zacharie Astruc, Mme Lejosne, Mme Loubens, Aurelien Scholl, Baron Taylor, Chalres Monginot and the artists�s brother, Eug�ne Manet. Slide 8: Constantin Guys, ‘Balaklava Railway, Crimea’ n.d.